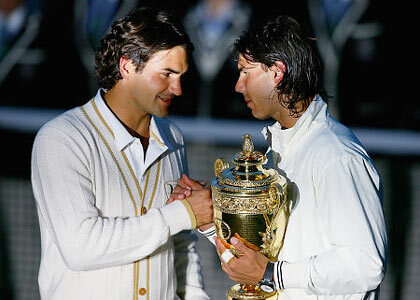 federer and nadal after the wimbledon 2008 final, maybe the greatest in grand slam history. yesterday, rafa nadal was eliminated in the quarterfinal of the australian open. he didn’t seem to feel well, and the normally physically strong spaniard didn’t resist and lost 0x3 sets to his countryman david ferrer. just now, roger federer suffered elimination at the hands of novak djokovic, the world’s number 3. 0x3 sets, and this time, djokovic just beat him. you might think, well, anyone can lose, even a nadal or a federer. why this sensacionalist talk about the end of an era? the answer: because although they do lose from time to time, it just doesn’t happen too often. and normally not before a final. 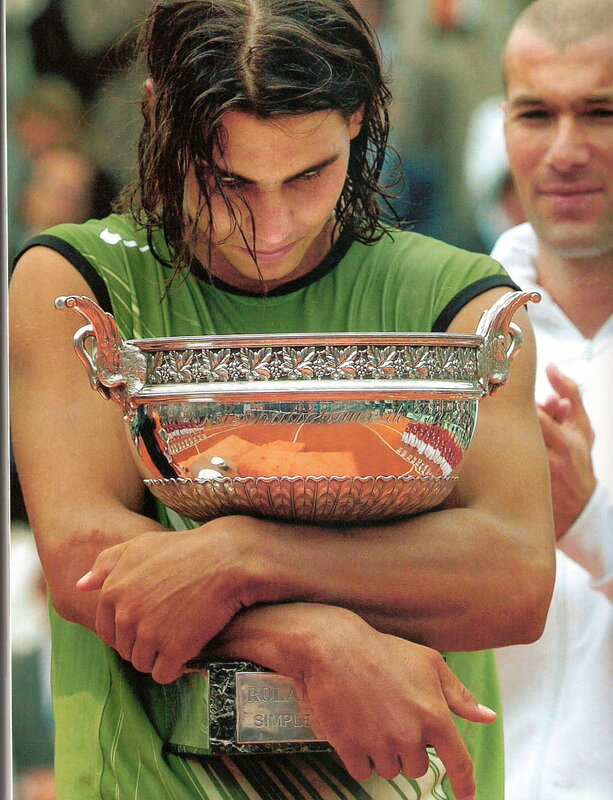 almost six years ago, rafael nadal reached his first grand slam final, at his first attempt in roland garros. since then, there have been 24 grand slam finals; and wait for this: in 23 of them, either nadal or federer was in the final! and, more: 22 of those times, the grand slam winner was either roger federer (12 times) or rafael nadal (10 times). they actually played out 6 of those finals between themselves (nadal won 4), which seems even a low number for this kind of dominance. exactly three years ago was the one time that neither one nor the other was playing on the second sunday. australian open 2008 had tsonga beat nadal 3×0 in the first semifinal, and djokovic beat federer 3×0 in the second. almost the same as this time around. so it might be just an exception, a “twice in a lifetime” thing. time will certainly tell, but it does seem possible that federer and nadal might start to share some of their glory with novak djokovic, who’s been trying to enter their league for a while now. there is another sign for that: this will be djokovic’s fourth grand slam final in his career; he had two in a row in us open 2007 (lost to federer) and australian open 2008 (beat tsonga in the final); now he lost to nadal in the us open final last year, and might just win his second slam, again in australia. 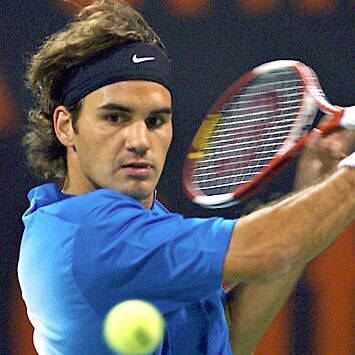 and, who knows, he might try for the grand slam this year, which neither nadal nor federer ever came close to winning. ok, that’s a bit too much. but who knows? 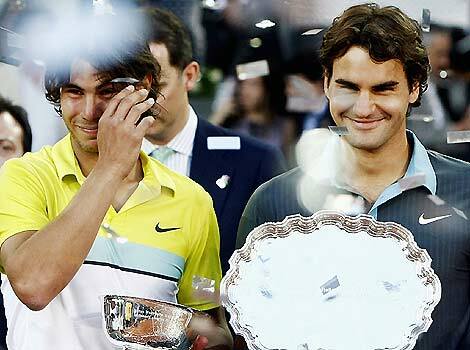 by the way, it’s now completed two years since the last roger federer x rafa nadal grand slam final, also down under. another sign for the end of an era? notice that this is a personal list of how i perceived this year’s sport events. the most intense sport moments of 2010, in chronological order. 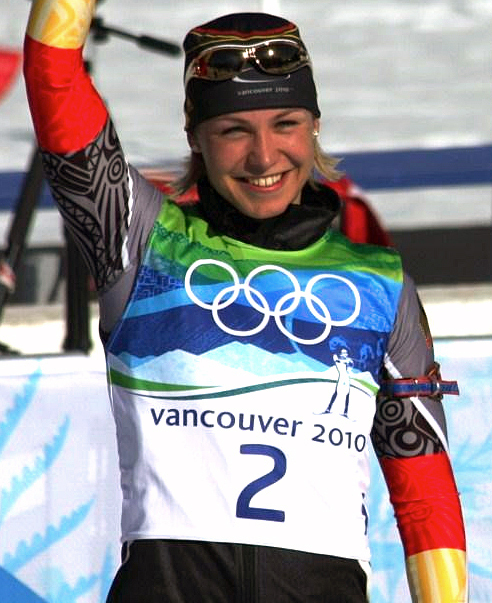 anastasiya kuzmina from slovakia had won the first gold medal of the olympic games in female biathlon, just two seconds ahead of german star magdalena neuner in her first olympic games. but right in the beginning of the pursuit race, neuner passes her rival and increases her advantage after two error-free shootings to an incredible advantage. in the fourth and last shooting, neuner makes her second mistake and kuzmina has a perfect shooting, but it is not enough -12 seconds advantage at the end give the young bavarian her first ever olympic gold medal. in the 12.5 km mass start, only 13 of the 30 starters make a mistake in the first shooting – and neuner is one of them. after her perfect second shooting, she was now in 8th place, still dreaming of a medal, but another mistake in her third shooting made it look tough. thanks to a perfect fourth shooting and her incredible pace on the slopes, magdalena neuner manages the incredible and wins her second gold medal – an even more exciting race than the one five days earlier. in a cold, windy day, the people from fiore were all there, seemingly. it was the greatest day in football for this italian town, that had had european glory, but never in the main competition, the champions league. to eliminate bayern would be their biggest success ever, and the players knew it; bayern couldn’t control the wind or the opponent, and early in the second half, fiorentina were up by 2×0. mark van bommel managed to score a lucky goal at the mark of 60 minutes, but the dream of extra time vanished only minutes later with jovetic’s second strike against a desolate defense, 3×1. the italians looked like the certain winners now, but just a minute later, arjen robben silenced the crowd with an incredible masterpiece of a shot. with luck and robben, bayern were through to the quarterfinals. what a semifinal match between schalke and bayern for the german cup. the kind of 0x0 that lifts the soul, good football and very nerve breaking. but even with the stress in the weeks before, and with only a few minutes to play in extra-time, arjen robben takes the ball, dribbles passed five people and concludes with a perfect shot – the goal of the year, and once again such a decisive one! it didn’t look good at all for the home team. rooney had scored an early goal, and bayern were trying to get the best possible result since then; they dominated the match, but weren’t able to convert their advantage into goals; only ribéry was able to score a goal against the favorites and 2008 champs, and that goal only came in the 77th minute. in stoppage time, the 3-minute mark was coming close as mario gomez won a ball against rooney in midfield and somehow got it to the united box, where evra lost orientation for a second and olic scored the most exctiting goal of this life. incredible! 2×1 and munich now had a chance! schalke against bayern – the decisive match for the title race in the bundesliga, where felix magath’s team could’ve made a great leap towards the title with a simple victory over their pursuers. bayern, though, scored twice in the first half, conceded a goal and got a red card very early in the game. but they were able to play the match so well and united that schalke did not have one goal scoring chance in the second half, running away with the victory and, finally, with the leadership in the table. lionel messi wrote his name in golden letters that evening. historians might call this the greatest performance ever by a football player, in history. against arsenal fc in the quarterfinals of the uefa champions league, messi’s game was near perfection even without scoring a single goal; but he scored four, after arsenal had scored the first goal of the match. 4×1 final score, four messi goals in a perfect night for the argentinian, who marked his name as the best of the world – and applied for the “best of all time” category, although he’ll need a world cup victory to state that claim. what a day. manchester seemed to show that olic’s last-second goal wouldn’t matter at all. they demonstrated modern, fast and agressive football in the first 45 minutes, scoring three goals even without a good rooney (but with a great nani), and even olic’s goal right before the break didn’t seem to change that fact. in the second half, bayern were more present, but still found it difficult to score what would be a decisive 2×3. but they did: corner kick ribéry, volley from 20 meters by robben – perfect goal, a third all-decisive goal of the year for the incredible dutch! after that, bayern controlled the game and manchester had no answers. olic’s goal from the first leg was worth gold, after all. the last ten minutes of fc barcelona’s semifinal second leg match against internazionale milan were some of the best sporting minutes of the year. inter had held 0x0 for a long time, and they could lose 0x1 and still advance to the final; but after piqué scored a beautiful goal, the nou camp became an inferno for the italian team (playing without a single italian player); attack after attack rolled onto julio cesar’s goal, and some luck was involved, mixed with a lot of talent. in stoppage time, barcelona scored for the second time, which would see the holders of the title advancing to the final. but the goal was disallowed, and inter advanced. what a match! what a match. bayern played almost perfect football in the german cup final against holders werder bremen. beautiful, efficient, dominating, fast. 4×0 was the final score, and the second title was in the sack for bayern; trully a great moment for louis van gaal and his football philosophy. the uefa champions league final was too important to really be a fantastic game. bayern had the ball possession, inter the wit and experience; diego milito and wesley sneijder made the difference on the positive side, daniel van buyten and martin demichelis on the negative one. 2×0 to inter, in a game that seemed more like a 0x0. in the most exciting championship race in history, race 7 had everything to be spectacular. mark webber and sebastian vettel led the pack with equal points but more wins for the australian, who had just won monaco. alonso had 75 points, only 3 points behind the duo, and button had 70, with felipe massa at 61. lewis hamilton, the most spectacular driver of the year thus far, wasn’t even in the top five. and it was a battle between red bull and mclaren, between webber (pole man) and vettel, between hamilton and button. and between all four, who were racing on similar pace through the circuit during most of the race. vettel an edge faster than the leading team mate, and with hamilton pressing him. so he attemped a pass, encouraged by his mechanic – but webber didn’t know of it, closed the door, and the two drivers crashed. vettel was out, webber still managed third, but the race was not over; in sight of the red bull drama, mclaren advised their drivers to “save fuel”, in other words, hold positions. hamilton thought he was okay, but button still attacked him and passed with an incredible move. hamilton was determined not to let that happened and answered in specatular fashion. incredible! great race, and hamilton now emerged in third place in the standings – two places ahead of vettel, with mark webber still leading the pack. a pretty good opening match, but what a goal by tchabalala, to erupt the stadium and the hearts of all african people. a singular moment in this sport year. finally the world cup gets started in terms of quality. germany plays a perfect match and impresses the whole world with its incredible speed and light way of playing, a new kind of “beautiful game”. 4×0 against australia, who didn’t lose after that and had a good world cup in 2006. mesut özil, now at real madrid, appears to the world for the first time, even without scoring a goal – that’s how well he played. john isner against nicolas mahut. no one could have guessed that this might have been one of the most exciting moments in tennis history, but it was. round 1 in wimbledon, court 18. the match had started one day earlier, with four sets completed and a fifth set in need; darkness was the reason for the ending of the playing that day. basically what happened is that the american and the frenchman played the whole day and still didn’t find a winner between them, due to the rule that you have to outscore your opponent by two games in a grand slam fifth set match, no tie breaks allowed. 59-59 was the astonishing score after that day, and for the second time, darkness impeded that match to be concluded. the match was concluded a day later, with an incredible 70-68 scoreline. another american victory on the same day, and what a victory: landon donovan’s deciding goal in stoppage time was one of the most deserving lucky strikes in this sports year and in any fifa world cup. the us had been denied a couple of decisive goals and would face elimination without the life-saving strike by the american soccer star. the reigning champions are eliminated in last place of their group, after a gripping second half in the match against slovakia, who qualified for the knockout stage with an incredible 3×2 victory – many beautiful goals, lots of drama and an italian team playing like it should have during the world cup only in the last 10-15 minutes. the typical too litte too late. asamoah gyan is a world cup star. he had a great group phase, but his decisive and beautiful goal against the us team kept african dreams alive, and it was in extra time after a 1×1 tie during the match. one could feel the whole continent united supporting the black stars. arguably the best soccer match of the year. the first half was the best half of football i can remember watching, mostly because of the incredible performance of the german team in the first 35 minutes (and their 2×0 lead, more than deserving) and the great english performance after the 1×2, including the disallowed goal by frank lampard, the answer the the wembley-goal from 1966. germany shook, but didn’t fall. england’s pressure was on in the beginning of the second half, but after one of those incredible and fast moves, germany scored with müller. 3×1, and shortly thereafter, 4×1, again müller. a pitty that i watched that game by myself. brazil had impressed me and the whole world with their focussed performances in the group phase. it was a different brazil, a more intelligent brazil, but a much less beautiful one. against chile, one could only come to the conclusion that this team could only beat itself, and that it wouldn’t. so brazil were favorites against holland, not only by tradition. and the first half was a demonstration of the new brazilian way of playing: very firm in the defensive midfield, combative, efficient and cool. the 1×0 advantage could have easily been a 2×0, holland had not even seen julio cesar in the match. but the brazilians beat themselves; a goalkeeping error by julio cesar, very rare indeed, enabled an own goal by felipe melo later credited to free kicker wesley sneijder. melo saw the red card after the whole team had become nervous, and the game was now gone. the netherlands dominated the second half and won the game, 2×1. brazil was out, and the country didn’t even care too much about it. a sign of how the public viewed the “new brazilian football”. what a match between ghana and uruguay, and what dramatic moments at the end. muntari had scored a beautiful goal right before the half time break, but forlan equaliezed in the beginning of the second half. ghana were stronger in he first half, uruguay had a better second half. but ghana was the team pressuring the south americans in extra time, and then it happened. after quite a lot of confusion in the uruguaian box, a defender saves from an shot, and a header is fished out of the goal by uruguay star attacker luiz suarez. red card, penalty, but no decisive 2×1 right before the penalty shootout. asamoah gyan could score it from the spot – but the ball hit the aluminium and went out. drama was not over, more penalties were one the program now. this time gyan scored, but two of his team mates didn’t – africa cried, uruguay celebrated – mostly bad-boy suarez. i’d watched argentina’s 3×1 win over mexico and was not impressed. no tactics, only talent. a lot of talent, sure. but enough to beat germany’s beautiful and efficient fast-paced way of playing the game? after 2 minutes, shooting-star and world cup golden boot winner thomas müller answered with the first goal. bastian schweinsteiger played the match of his life, eliminating lionel messi from the game and even organizing all attacking moves. he played it like a true quarter-back, and the runners scored another 3 goals. 4×0, and title favorites maradona were out. germany had convinced the world that they can actually play the most attractive football on the planet, not only the most efficient one. germany couldn’t play. spain didn’t let them. it was as simple as that. and when germany finally started to have a little chance after after almost 70 minutes, the spaniards found their goal – after a corner, with a header. the deserving winner with perfect timing and somewhat boring, but extremely exact and perfect passing style. efficient enough for he germans not to get into the game at almost any time. there were only two good things about the final: it was thrilling and the right team won. the football was pretty poor, the netherlands weren’t even try to play football most of the time, which is totally contrary to the country’s football history and philosophy. they played more german than the germans, and they could’ve won – robben missed the decisive goal twice. but spain was strong in the beginning and in extra-time, in the rest of the match they were only able o control the game. the goal by iniesta was deserving, the title as well; the best team won! this has always been my favorite race (and i plan to watch it live next year), and it didn’t disappoint; at least not in the spectacle, which had vettel trying to win the race. he was the fastest on the track, once again, and as it was getting dry, he tried to pass jenson button; but he crashed into him, provoking widespread criticism. lewis hamilton won the race and took over the lead of the championship after 13 races, ahead of mark webber. at this point, it seemed that the two of them would decide the title race, but things changed quite a lot after that. a ryder cup final day on a monday was uncharacteristic, and it is not every time that the decision goes to the last hole. the young american zach johnson kept the us-hopes alive, and their great final day seemed to be able to produce a historical comeback after trailing by three points on sunday. at the end, greame mcdowell kept his cool under enormous pressure: the us open champ of 2010 beat hunter mahan and gave europe another title in this, the arguably greatest competition in golf. fernando alonso had won the last two races and was back in the title race after a great end-of-summer run. japan was the last chance for sebastian vettel to still run for the title, with hamilton also in front of him and webber leading the standings. and he had a simply superb weekend (just like a year earlier) to claim a fantastic victory in the land of the rising sun. kubai kobayashi gave his home crowd an incredible show and made five passing moves, making it his own personal show and finishing in 7th. vettel had now passed hamilton, but alonso was still ahead of him – and so was leader and team mate webber. the championship leader had held on to his lead without winning any of the previous four races, but this time, his nerves cost him the top spot. after a mistake, he crashed out and tried to take then-second placed fernando alonso with him, but actually hit nico rosberg. vettel now was the virtual leader, since he completely dominated the race; it would have been his first championship lead of the season, the sixth man to do so. but it was not to be, since his motor failed and alonso went on to win the race and become the runaway championship favorite. with only two races to go, vettel was a race victory (25 points) behind, webber only 11 points – a team order seemed the logical strategy for brazil and abu dhabi. but that also was not to be! the podium was vettel, webber, alonso. which was curious in this order, since alonso remained on the top of the standings, only needing a second place in the emirates to win his 3rd title. but webber was denied the team order privilege, since his team mate still had slim chances himself. so vettel won an exciting brazil race, and went into the final race having to leave team mate webber and alonso behind him – and not only that! vettel cries. he’s done he impossible, and thanks the team for the opportunity to do so. he wins the race, webber finishes back in 8th (worst race of the year for him), alonso in 7th. schumacher has a frightening accident right at the beginning, ferrari ignores rosberg and petrov going to the box (i’d seen it all along!) during that safety-car phase, and their second mistake is to “mark” webber, who goes early into the pits after hitting one of his wheels. alonso goes to, worried to lose his spot in front of that red bull, and gets stuck behind petrov. vettel wins with luck and superb driving, after a year of some mistakes and lots of bad luck. and he cries. the youngest f1 champions ever, what a career so far! what a year it had been for rafael nadal. although there was no nadal x federer final in a grand slam, in 2010 (the first time this had happened for quite a few years), nadal had won the last three slams and is going for a “false” grand slam in australia, to make it four in a row, but not in the same year. nadal finally met federer in the atp world tour finals, the inofficial world championships of tennis. and federer taught the spaniard a lesson of who still hasn’t given up on the dream of coming back to become number one – and maybe even winning the grand slam itself. after this superb match, 2011 can come in the tennis world! 5- ivica olic scores the winning goal for bayern munich against manchester united in the first leg, seconds from stoppage time. 4- arjen robben scores a spectacular volley to eliminate manchester united in old trafford, making olic’s goal count. 3- lukas podolski’s 2×0 against england, a fantastic goal as an example of the new german game (great work by thomas müller) and virtually eliminating the until then astonished englishmen, traditional rivals. 2- sebastian vettel passing the finish line in abu dhabi and, half a minute later, realizing he’s the world champion, breaking into tears. 1- arne friedrich’s goal against argentina, eliminating the gauchos with the 3×0; bastian schweinsteiger’s brilliant assist was the reason, and of course the tension breaking after another incredible performance of the best german team that ever played. a love affair with a country... lena and germany. … well, not really. but you gotta love that cute little blondie, with those blue eyes seeming to explode of joy and life. actually, germany is currently in love with two lenas. one is still a teenie, from north germany, brunette. the other is in her early twenties, blonde, from bavaria. and i think that the country’s love will last longer with the latter. you must understand that germans love wintersports. every weekend, there are hours of live events on tv, and not on some secondary channel. the two official tv stations ard and zdf can bring up to 16 hours per weekend, live! bobsled, alpine skiing, long skiing, ski jumping, nordic combination, speed skating, curling, the luge – you name it! 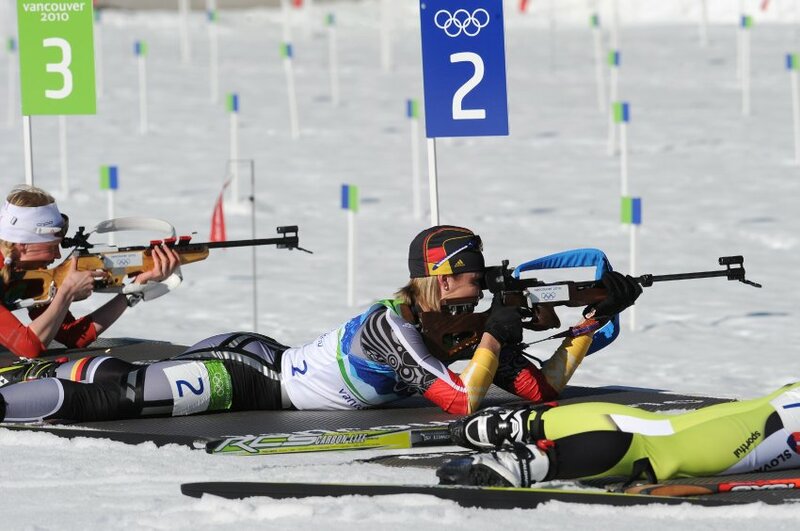 but one sport has really made it to the center of attention: biathlon, that seemingly strange combination of cross-country skiing and shooting a gun. well, if you look at it, it’s not so mysterious where a sport like that might have come from. and it’s pretty damn exciting to watch. since germany has had pretty good success, it has become very popular over the last three decades. and the popularity is still growing. thanks to “gold-lena”. it’s actually pretty simple: you are a star if you are successful in what you do, and if people are paying attention to what you do. like cristiano ronaldo in the sport of football. but you are loved if people like what you say and don’t say in those interviews before and after a competition. and how you say it. this makes lena neuner a beloved star. her sporting successes make people at least wanting to love her, anyway. magdalena neuner was 19 when she first competed in a biathlon world cup season, which is made out of racing weekends (similar to formula 1) with various competitions. she won her first race before turning 20, and in her first biathlon world championship (a competition only surpassed in importance by the winter olympics), she won three gold medals. lena in shooting position during this year's olympic games. germany had a new wunder girl. and, what made it even more appealing, she was short, very cute, always smiling with her face and her eyes, very natural in interviews and simply lovable. simple, from a small winter town, with no intention of becoming a star or a socialite. just the way germans love to like their stars. the last time they loved someone from the sports arena in a similar way must have been with steffi graf, who was arguably less cute! what would the young woman do in her second season? well, she won the overall world cup (comparable to a f1 world championship after all the races), as the youngest woman to do so in history. and in the world championship (held every year), she won another three golds, upping her tally to six overall. don’t think for a moment that this is an easy feat; in biathlon, it’s actually really tough to win races. the shooting is what adds the spice, with different sorts of punishments for errors (normally having to do one extra round for each shooting mistake). To win every weekend is basically impossible because of that, but to be amongst the best constantly is possible and a true sign of quality. lena’s third season wasn’t as successful as the first two, and she wasn’t able to defend her title as the overall world cup champion. so she somewhat had a nice story going on for her before her first winter olympics, held in vancouver earlier this year. would she be able to come back? would she be able to get a few medals, maybe even a gold? lena neuner would. and she did. two golds and a silver made her one of the big names in the games, and probably the biggest name in german sports, for the year. just to keep the comparison up, neuner’s olympíc games are even more significant than vettel’s first f1 title. she will probably win the vote for germany’s sport woman of the year, after winning that for the first time in 2007; vettel is in the running for the men, but might not win it. don’t get me wrong. germany really likes vettel. he’s young, straight-forward, has a good sense of humor and is down-to-earth, and very successful. but there is a slight difference: germany really loves lena neuner. because she has all of that, and she has that smile and those eyes. neuner just started the defence of her 2010 world cup overall title, her second after 2008. she didn’t race in the first weekend, because she had the flew; and germany missed her. now she’s back, slowly finding her form. this weekend, she led the german team to win first place in the team event, and germany was reminded once again why they’d fallen in love with her only four winters ago. this love affair will last. there are no words to describe roger federer any more. and to rafa nadal, it’s kind of a blessing and a curse to be around at the same time. nadal is one of the best players the sport of tennis has ever seen. and yet, it will be tough for him to achieve what roger has achieved. the third set was a demonstration of tennis. yet another one. and roger was so happy to beat rafa. this is a fun rivalry. there is respect, irony and great will to beat each other. in the first number one against number two year ending duel, the number two taught the number one a lesson. just like a more experienced master tells the not-so new kid on the blog: “this is how you do it, friend”. and the world once again was awed. exciting home victory for europe in the ryder cup! mcdowall and mahan. it all came down to them. young american fowler had finished an incredible comeback in the 18th hole, halving a seemingly lost matchup against one of the molinaro brothers to give his team mate mahan the chance to win it for the usa. or, in this case, to tie it up. a 14×14 tie means the holders keep the trophy, those are the ancient ryder cup rules. 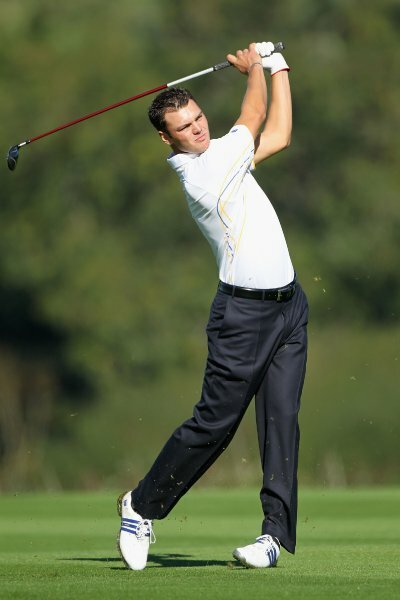 martin kaymer was one of the rookies. the us open winner won 2,5 points for europe! but mahan was not up to it, and mcdowall was. europe wins with the slightest of margins, 14.5 x 13.5; this is their 9th win in the last 13 editions, which is a surprising feat, since generally europe is considered to be the underdog, if you only go by world rankings. tiger woods, phil mickelson – they were all there. but they couldn’t do enough to beat europe and to retain a title for the first time since 1993, in this bi-annual event. up to 1977, the ryder cup (first played as soon as 1927) was a competition between americans and brits. due to the second world war, only four editions were cancelled; every odd year besides those years have been ryder cup years in the golf calendar. up to 71, it was strictly inventors britain against pros usa. in 73, 75 and 77, the irish played with he brits, but even they failed to help: the usa only lost three times until 1977, and even when great britain became europe for the first time in 1979, there were still three defeats until he maiden victory in 1985. since then, it has been 9×4 for europe, and only one home match was lost (out of seven), but three away matches were won (out of six). europe’s supremacy leads to their 9×7 overall lead since they entered the competition to join the brits in 1979, and it will be a question of honor for the americans to strike back in 2012.
the smart ones will have noticed that this year is not an odd year, but there was still ryder cup action. well, the second exeption to the rule was in 2001, where the ryder cup should’ve taken place, but didn’t, for obvious reasons. so now it’s another 2-year wait until next time. and even for those who don’t really like golf – ryder cup action is about as exciting as it gets, and it really is quite a great event and competition. young las vegan ricky fowler was able o shine, as well as old stars like lee westwood for europe. europe won it with six rookies. and, at the end, it was current major holder macdowell who closed the deal. timo boll is europe's best player and current world number two. in january 2003, something quite remarkable happened. not to the great public in the world, or even the world of sports. 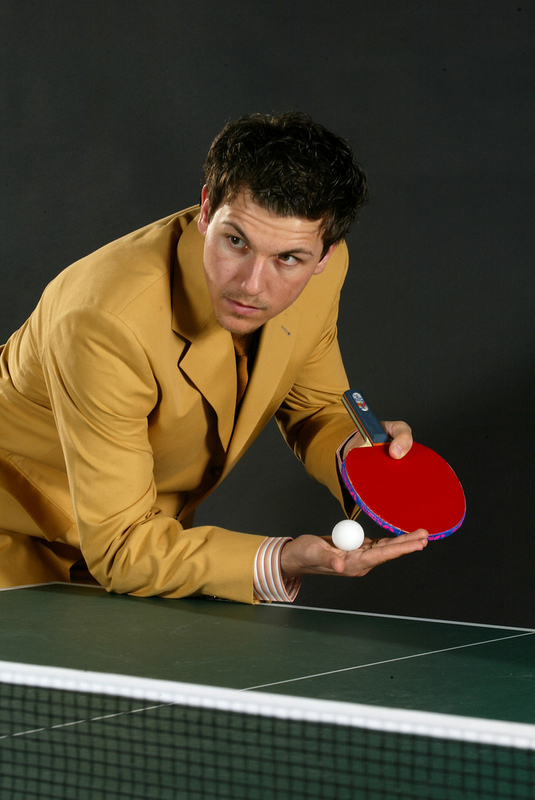 but a remarkable feat anyway: a young 21-year-old german called timo boll had just risen to the number one position of the world rankings in table tennis. in a sport completely dominated by china, a german had risen to the spot top of the rankings, and whilst doing so, eliminating his chinese opponents in important tournaments. boll had already won the european championship for the first time, which was quite an achievement since the more veteran players dominated the rankings and the games. currently, he is trying to win his fourth single title in a european championship – he’s won this year’s gold medals with the team and in the doubles tournament already. on number 2 of the world and surrounded by five chinese players, timo has held his own in the last years, where he was never worse ranked than 6th since 2001.
timo still wants to win single medals at world championships and/or olympic games, a feat he has yet to achieve. 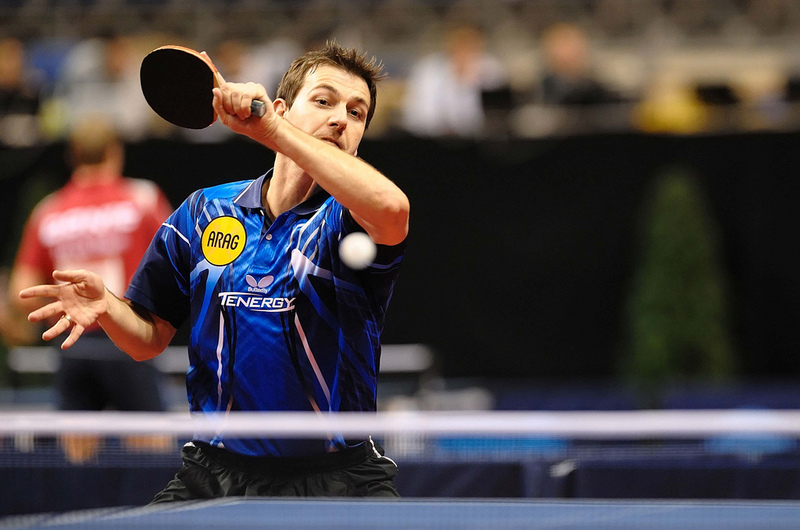 timo boll has had some injuries typical to table tennis players, mostly back injuries. those and other (emotional) factors have influenced his performance in the bi-anual world championships and in the olympic games, where timo still has no singles medals to showcase. in 2011, he’ll try again in a world championship (in rotterdam), and in 2012, he’ll go for gold in london. let’s see if he can translate his great technique and his status as the unreachable european number one player into some even more significant medals. he just started today, by winning his fourth singles gold medal in a european championship, beating his landsman bauer in he final. this blog will have at least one post per day, about different topics. it’s goal is to voice opinions and to gather some opinions from readers, to create a discussion around mostly football and formula 1, but also many other sports.